The Indonesian Flower Association (ASBINDO) is a professional membership organization.The ASBINDO brand could be seen as a quality label for products and services within the Indonesia Floriculture Industry. ASBINDO organizes programs and projects that benefit the development of the floriculture industry. It also aims to raise awareness on green lifestyles and want to play an active role in the Green movement in Indonesia. 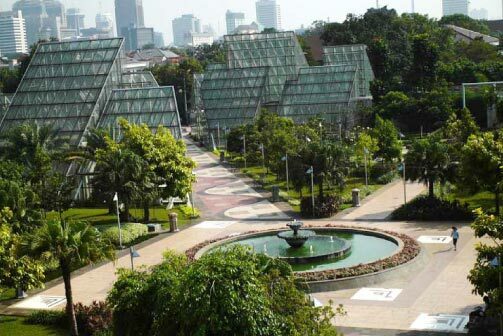 Within Indonesia many organisation are active with Green principles and programs like the government, the private sector (through CSR programs), and green communities. The implementation of the Green City concept is one of the main challenges of the Green movement. 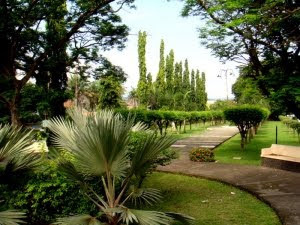 ASBINDO intends to actively participate in creating greener cities. It has members from various stakeholder groups within the Floriculture sector (producers of garden & ornamental plants, decorators, and landscapers). Those members made it possible to initiate the so called ASBINDO Green Services. "Securing and Managing the Green Ecology"
has been chosen as the motto of the ASBINDO Green Services as all activities are related to creating and improving green elements in city environments. Key words are Safety, Health, Fresh and Beautiful. The services consist of consultation on appropriate plant and tree selection, how to take care and propagate plants. Advise on the most suitable location of plants and trees within cities and the development of a design & planning process. In addition, the services will contribute to raised awareness and public support for the need to improve ecological systems and the creation of habitats for all living elements. • Planning and design: Preparing a site for plant cultivation with minimum disturbance of the original natural environment. • Site Preparation : Preparing a site for plant cultivation with minimum disturbance of the original natural environment. • Plant Selection: The selection of appropriate plants for a particular area or region with characteristics suitable for the choosen plant location. • Planting and Maintenance: Planting techniques and proper treatment. • Plant Supply Chain: ASBINDO provide plants with safety and quality assurance and it arranges delivery to the desired spot. • Training Program (cultivation and urban farming) and Environment education (green living): Training provision that covers all aspects of the cultivation and maintenance of plants as well as the awareness raising aspects for the importance of creating greener more sustainable cities. ASBINDO is interested in parties that would like to work together on the development of Green services. Also organizations and people that are interested in using our Green services to realize their own Greener City enviroment are requested to contact us.